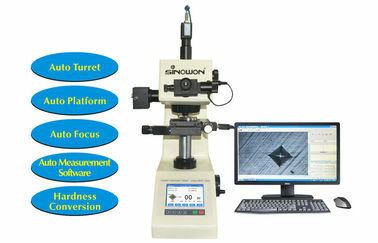 Digital Micro Vickers Hardness Tester with Hardness Conversion and HD Camera, Auto Measurement Software: MV-500 can control hardness tester and data communication, includes objectives and indenter switch, auto focus, auto loading, dwell and unloading, single or multiple indentation, set step distance, movement mode, auto record indentation dialog line and hardness value, auto generate depth and hardness curve, depth curve, error statistics, test times group statistics, generate EXCELL and WORD report. 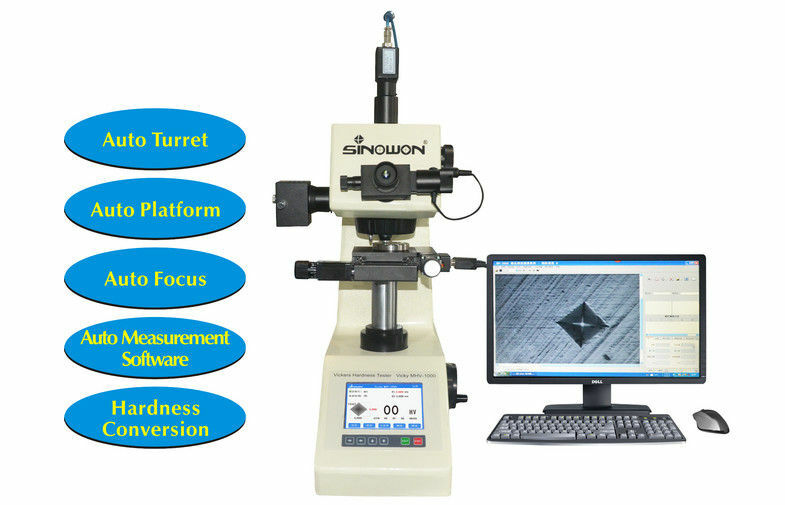 Automated Micro Vickers Durometer Hardness Testing Machine with Control Software, equips motorized X-Y platform, automatic control and measuring software MV-500 and high definition USB camera, to realize automatic vickers measurement. 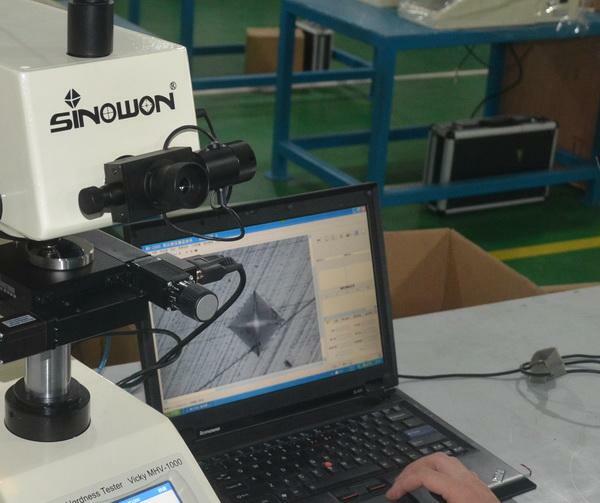 Motorized platform: Precision X-Y movement to realize specific position hardness measurement. 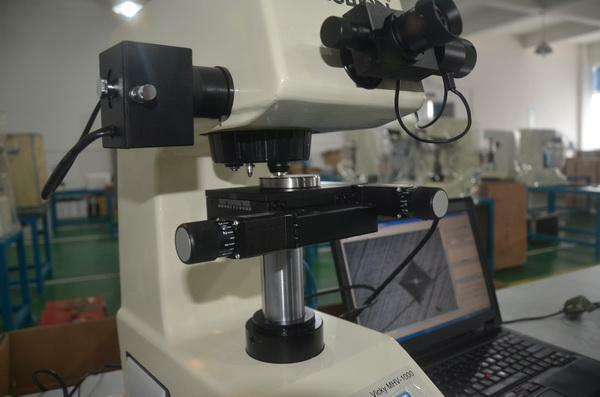 Auto Focus: Apply high resolution optic system and auto focus technology, MV-500 can realize auto focus and auto hardness evaluation only asks for the specimen surface Ra≦0.8um. 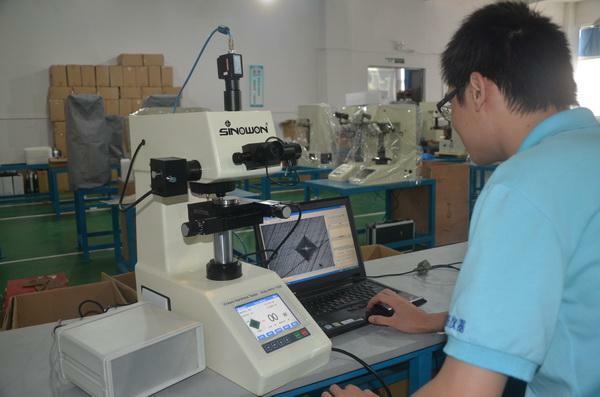 4, Measuring the depth of case hardening by sectioning a part and making a series of indentations to describe a profile of the change in hardness.